Come Together Right Now At Beatles Abbey Road ~ A Place For Beatles Fans Across The Universe To Talk About The Fab Four & More! 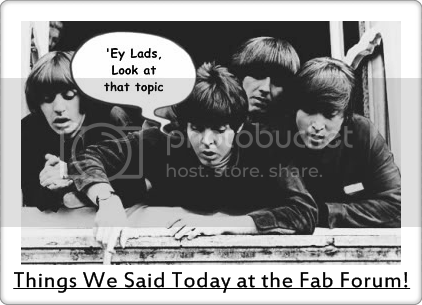 The Fab Forum ~ Join the fun & FAB Beatles Discussions! Sir Ringo! Beatles drummer Ringo Starr receives knighthood. Twist & Shout Out To Beatles Fans!